This terrific sculpture of the Green Man by Toin Adams stands in a cramped space in the Custard Factory in Birmingham. The site was once the home to Alfred Bird & Sons Ltd, manufacturers of the famed Bird’s Custard Powder, and is now an office/retail location. This post-industrial area of the city is an unlikely spot for a personification of nature and the life force. But the Green Man, as nature symbol and ostensibly folkloric figure, has a contested and unresolved history. The phrase itself was coined only in the 1930s to refer to those heads or masks sprouting and disgorging vegetation which can be found in so many English cathedrals and churches. Several attempts have been made to link the Green Men of ecclesiastical decoration with the Jack in the Green folk figure, the Greek god Dionysus, and even the Green Knight of the Sir Gawain poem, with all these forms being examples of a supposed single and ancient nature spirit. My view is that these conjectures are thin and unconvincing. The earliest foliate heads in churches date from the Norman period, the earliest reference to the Jack in the Green is late eighteenth century and, as far as I know, there are no representations of the Green Man in Celtic and Anglo-Saxon artefacts. There are also no myths or legends that mention such a figure. If the Green Man really is an ancient figure then the medieval heads have been grafted onto the rootstock. What’s perhaps more interesting is the meaning and resonance of the Green Man in contemporary culture. The notion of a male, and perhaps more active, counterpart to Mother Earth, or Mother Nature, has grown in popularity at the same time as environmental and ecological concerns have become more pressing, particularly in the last thirty years or so. Even Green Man pub signs that once displayed foresters have been replaced with pictures of foliate heads. 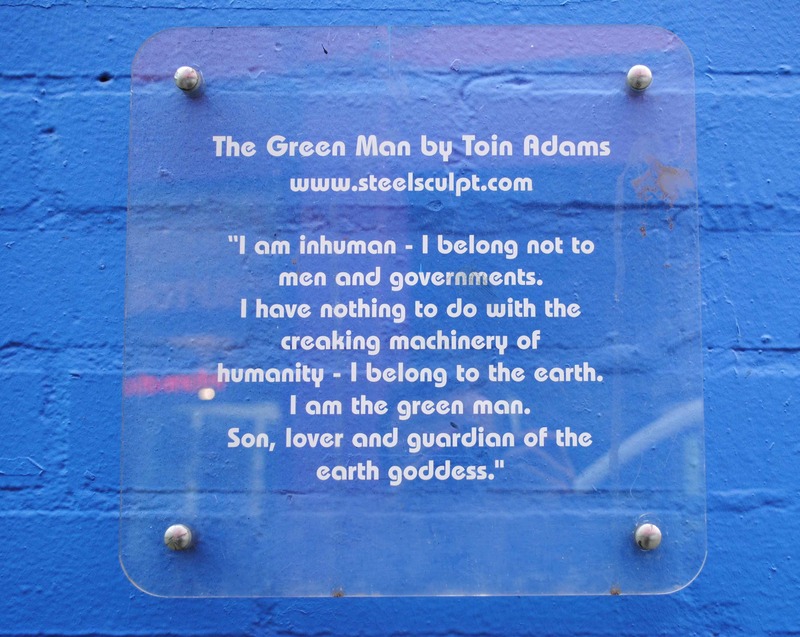 In his book Green Man: The Archetype of Our Oneness with the Earth, William Anderson used Carl Jung’s concepts of compensation and archetypes to argue that ‘the Green Man is rising up into our present awareness in order to counterbalance a lack in our attitude to Nature’. In other words, the symbol of the Green Man gathers power and significance as our trashing of the planet increases. I think there’s something in that. What could be better than a mythical figure without a constraining myth or genealogy for modern civilisation to project its anxieties about the natural world onto?